Antitumor chemotherapy is nowadays a very active field of research, and a huge amount of information on the topic is generated every year. Although many books are available that deal with clinical aspects of cancer chemotherapy, this book addresses the need for an updated treatment from the point of view of medicinal chemistry and drug design. The focus of Medicinal Chemistry of Anticancer Drugs is on the mechanism of action of antitumor drugs from the molecular point of view and on the relationship between chemical structure and chemical and biochemical reactivity of antitumor agents, aiming at the rationalization of the action of this type of drug, which would allow the design of new active structures. Researchers involved in oncology and pharmaceutical, medicinal and organic chemistry; Practitioners; Advanced undergraduate and graduate students in medicinal chemistry and pharmacology. Mª del Carmen Avendaño López received her doctoral degree in Pharmacy at the Complutense University of Madrid (UCM) in 1970. In 1986, she became Full Professor of Organic Chemistry at the Department of Organic and Pharmaceutical Chemistry of this university, being responsible for one of its research groups. Between 1993 and 2009, she was a member of the Scientific Advising Committee for the Profarma Program, organized by the Spanish Ministry for Industry to incentivize research activities at the pharmaceutical industry. She was appointed Vice-rector in charge of Postgraduate Degrees at the International University “Menéndez y Pelayo” in 2005-2007. She participated in the development of the Spanish Society for Therapeutical Chemistry and has also been a member of several scientific international societies and assessment committees. Since 1999, she is a Fellow of the Spanish National Royal Academy of Pharmacy where she is in charge of all activities related to Medicinal Chemistry, with particular focus on the relevance of chemistry in drug discovery and development. 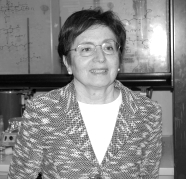 She has co-authored several chapters in periodical series and encyclopedias, including “Comprehensive Heterocyclic Chemistry” and “Science of Synthesis”, and has edited and co-authored several Medicinal Chemistry textbooks, most notably “Introducción a la Química Farmacéutica”, published by McGraw-Hill Interamericana in 1993 and 2001. 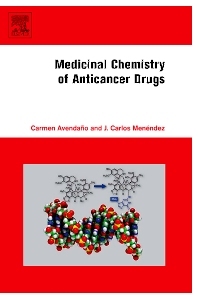 In 2008, she co-authored with Dr. Menéndez the first edition of “Medicinal Chemistry of Anticancer Drugs“ for Elsevier. Her research activities, documented in about 200 publications and some patents in collaboration with the pharmaceutical industry, have dealt with the development of synthetic methodologies to obtain biologically active molecules, with particular focus on antitumor natural compounds. José Carlos Menéndez was born in Madrid (1960) and obtained degrees in Pharmacy from Universidad Complutense at Madrid, UCM (1982, with Excellence Award) and Chemistry from UNED (1985) followed by a Ph.D. in Pharmacy from UCM in 1988, under the supervision of Dr. Mónica M. Söllhuber, with Excellence Award. In August 1988, he joined the group of Professor Steven V. Ley at Imperial College, London, where he worked on the total synthesis of the natural ionophoric antibiotic routiennocin. In September 1989, he returned as a Profesor Titular to the Organic and Medicinal Chemistry Department at UCM, where he has pursued his teaching and research career ever since, having obtained Accreditation as a Full Professor in 2010. He has varied research interests, related, on one hand, to medicinal chemistry work in the fields of neurodegeneration (prion disease, Alzheimer’s disease, ischemic injury) and chemotherapy (cancer, tuberculosis, leishmaniasis). Other projects pursued in his group are focused on the development of new synthetic methodology, including work on microwave-assisted organic synthesis, CAN as a catalyst for organic synthesis, green chemistry and the development new domino and multicomponent reactions for the preparation of biologically relevant bicyclic systems and nitrogen heterocycles. This work has been documented in about 210 research papers, reviews and chapters and 9 patents. Additionally, he has co-authored two textbooks in Medicinal Chemistry for McGraw-Hill Interamericana (?Introducción a la Química Farmacéutica, 2nd Ed." 2001 and "Ejercicios de Química Farmacéutica", 1997), and a third one for Elsevier ("Medicinal Chemistry of Anticancer Drugs", 2008). He is the coordinator of a Master Course on Drug Discovery, and the coordinator at UCM of a Ph.D. program in Medicinal Chemistry. He has collaborated with many research groups in UK, Italy, France, and India and also has some long-standing collaborations with several chemical and pharmaceutical Spanish companies. He has been the head of the Organic Microanalysis service at UCM since its creation in 1991. Since 2004, he is a Corresponding Member of the Spanish Royal Academy of Pharmacy. He has been a Visiting Professor at Université Paul Cézanne (Aix-Marseille III, France) in 2007 and at the Istituto di Studi Avanzati (ISA), Bologna University, Italy, in 2014.